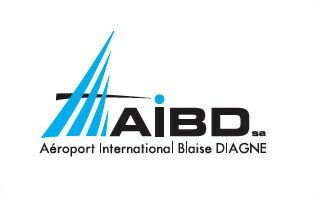 Aeroport International Blaise SA, a special purpose corporation to build, own and operate a new airport, the Aéroport International Blaise, under a 30 year concession with the government. Blaise Diagne Airport is being developed on a new site in N’Diass, located 45 km east of Dakar. The airport will have a 3 million passenger and 80,000 aircraft movement capacity and include: a state of the art 42,000m2 passenger terminal, a 3,500m long runway with taxiways, a 50m high control tower, a 44-stand apron with six aerobridges, a car park for 820 vehicles, a 7,850m2 cargo terminal, as well as other specialized terminals and facilities. Besides AfDB with €70 million, the Islamic Development Bank, l’Agence Francaise du Développement and the Saudi Fund are major participants with commitments of €100, €70 and USD100 million respectively. Another €26 million was committed by the West African Development Bank (BOAD). The proposed new airport will result in increased supply of the aviation infrastructure assets to match future passenger and aircraft traffic demand in Senegal. Strong Project Rationale: The current Dakar Airport is saturated and impossible to expand as it is very close to the downtown area and now completely encircled by urban development on a crowded peninsula. Strong Structure: The project is being undertaken by AIBD-SA, a special purpose vehicle, currently fully state owned. The Borrower will act as owner of the facilities which will be operated by a private company, Daport, a joint venture between Frankfurt Airport and a German airport concession holding, affliated with the airport bus manufacturer “Cobus”. Employment: During the construction phase, it is expected that approximately 3000 local workers will be employed. On completion, the airport will employ about 500 full-time employees. In addition to direct employment at the airport, the project will require other services such as engineering, spare parts, information technology and services, catering and cleaning, which will contribute to the local economy. Economy: the project will have catalytic effects on other related activities through the creation of the nearby Dakar Integrated Special Economic Zone (the "FTZ"). The FTZ is expected to attract around 400 businesses during the five first years of operations and close to 1,000 over 20 years. Funds: The availability of LT commercial bank financing for a project in Senegal is severely limited.